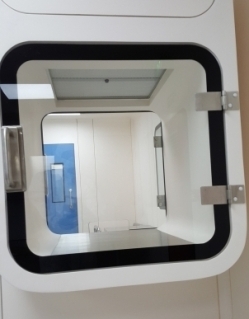 In any cleanroom facility the flow of clean air must ensure that the critical areas are maintained within international standards, to achieve this clean air should be cascaded from the cleanest areas to the least clean areas. This in turn is achieved through the use of pressure differentials between one area and the next.The purpose of the pressure differential test is to verify that the design and installation of the clean room system is suuficient to maintain the specified pressure difference between the clean areas and their surroundings. This test confirms that air does not pass from dirtier adjacent areas into the higher grade clean areas . 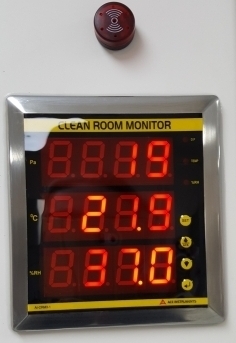 The main function of room pressure differentails is to minimise infiltration of particles from a less clean cleanroom to a cleaner cleanroom e.g. ISO Class 7 to ISO Class 5. The cleanest area in the facility should have the highest pressure cascading out to the less clean areas. This get more complicated with negative pressure cleanrooms. ISO 14644-4 recommends of pressure differential from room to room of 5 to 20 Pascal (0.02” to 0.08” w. g.) it is our experience that it is best to keep the differential around 10 Pascal.